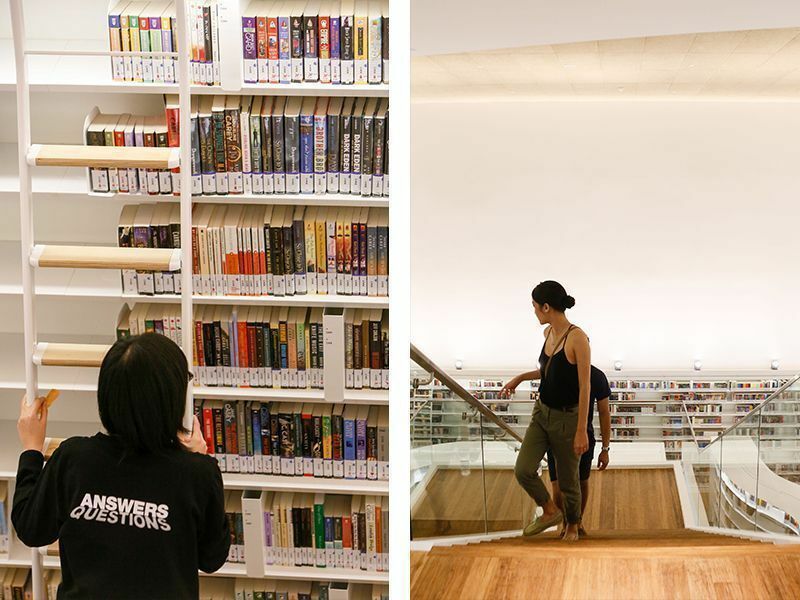 After seven years of wait, library@orchard is back―and this is a place worth braving the crowds in town for. 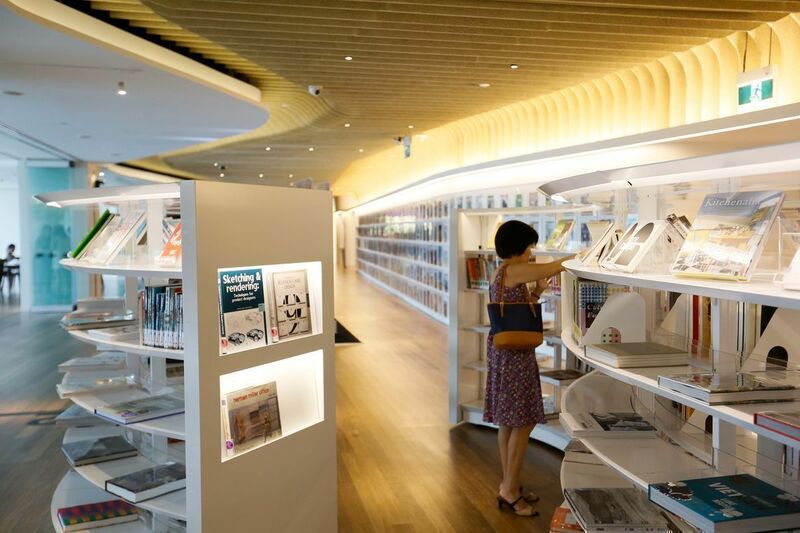 With its exclusive features along with the largest collection of design-related publications in Singapore's public libraries, this library aims to bring new meaning to the word "design"―one that is accessible, communal and essential. 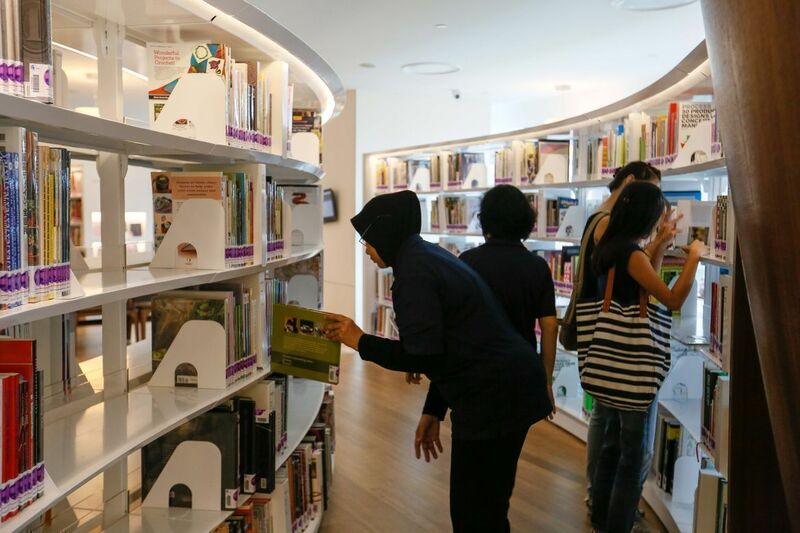 To democratise design for everyone―this is the goal of library@orchard. An ideal not easy to achieve. 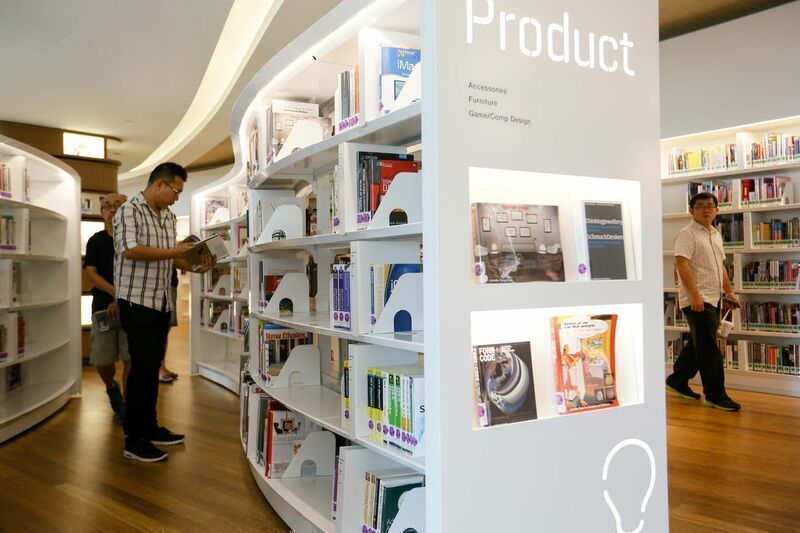 Yet this newly reopened library occupying two floor units at Orchard Gateway is proving the possibility with its structures, book curation, and user experience an assimilation of the public’s feedback and thoughtful design. “Everybody thinks that design is just the playground of certain people, but no. That’s not true. 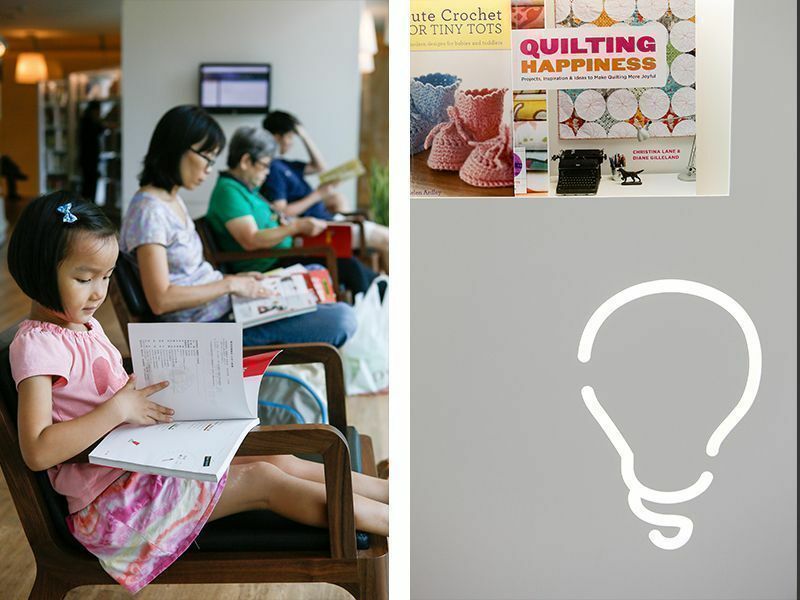 It’s in everything we do; you can curate a life for yourself, and design your lifestyle,” Chan Wai Ling, Manager at library@orchard, says. 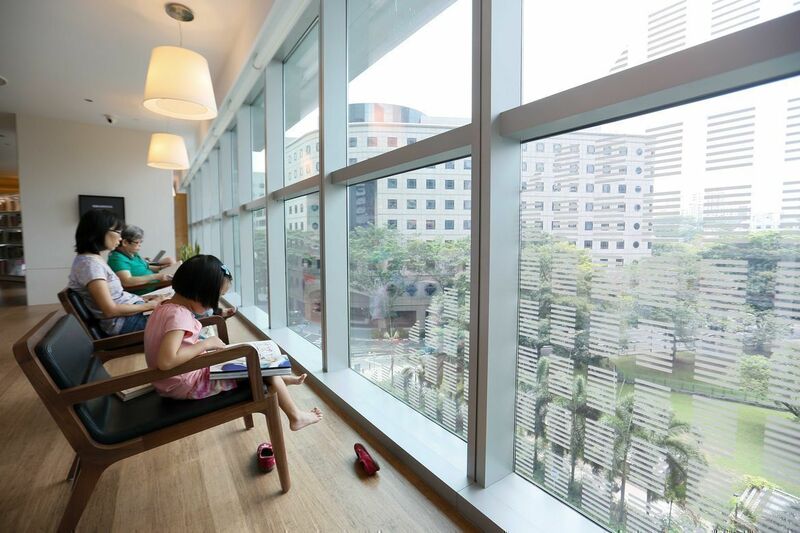 To ensure the library caters to public needs, library@orchard markedly sought and incorporated public feedback throughout its conceptualisation and design. This was done via various survey and feedback-gathering sessions, culminating in a physical prototype exhibition at the Central Public Library last year. 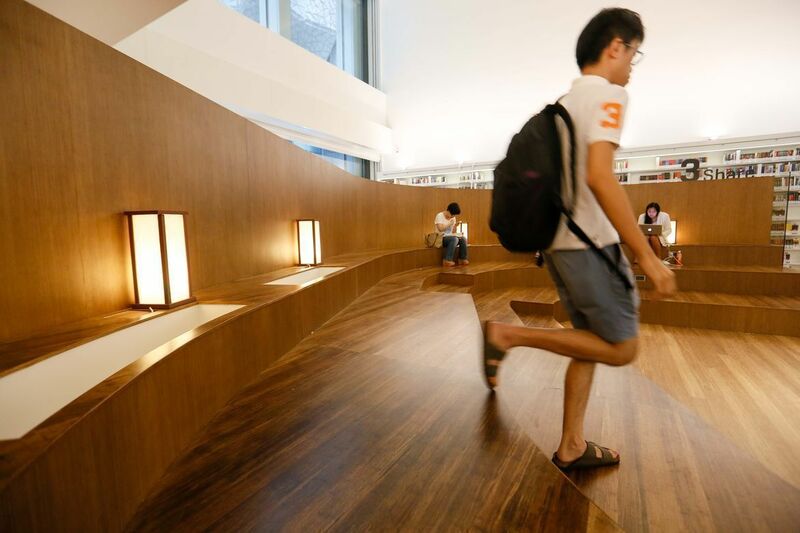 The National Library Board also worked closely with about 30 students and lecturers from the Singapore Polytechnic Design-Thinking Team to develop features unique to library@orchard. 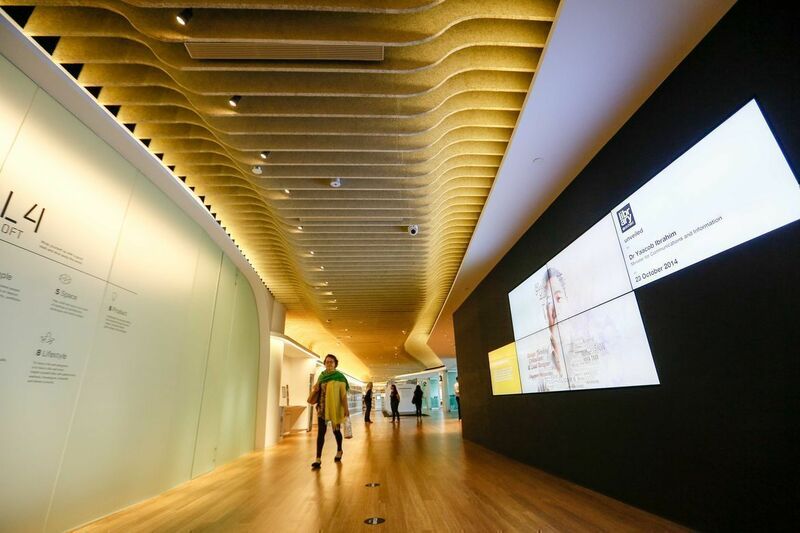 “Based on the feedback and studies we did with Singapore Poly, what arose from that is that customers requested for topics held within the design arena,” Wai Ling reveals. So “Design Is For Everyone” became their service philosophy, taken a step further to push the boundaries of what this phrase could mean. “We wanted to marry the traditional and normal definitions of design with one that has been reinvented, to allow the customer to have both,” Wai Ling explains. 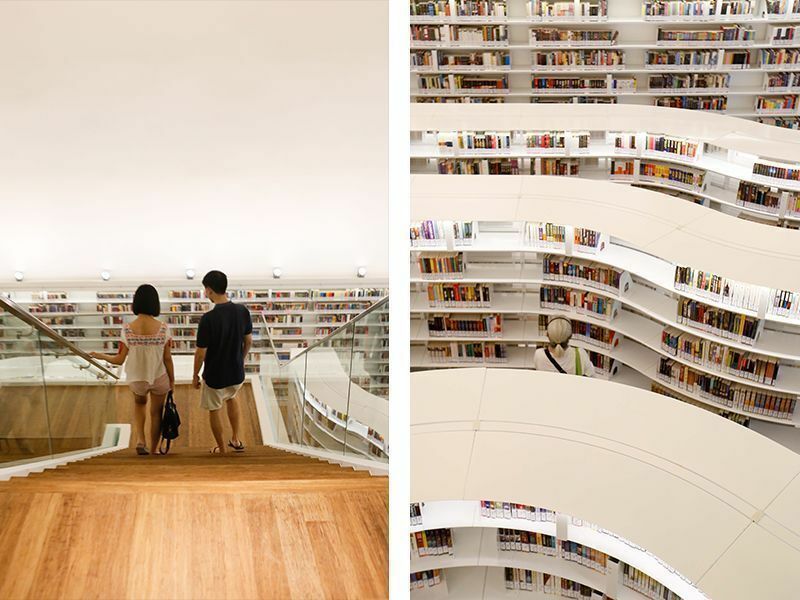 library@orchard’s 1,700-square-metre space is split into two floors of subtle differences and functions. Visitors are first welcomed with a grand corridor and a peek into the sleek modernity of this space. The accompanying audio for the video can only be heard when you stand on the designated black circles. 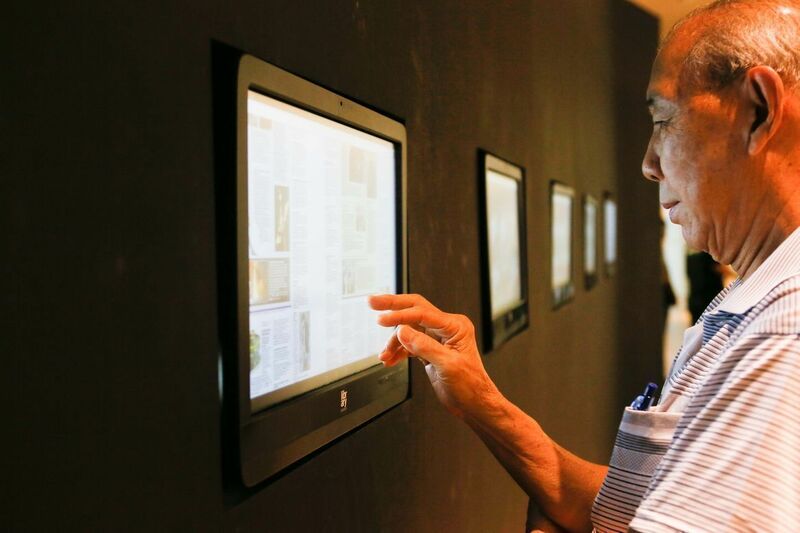 The long wall extends to reveal touchscreens meant for the digital reading of newspapers―no more messy handling or clumsy flipping here. Customer service also goes digital here as a one-stop concierge and directory area via a touchscreen. 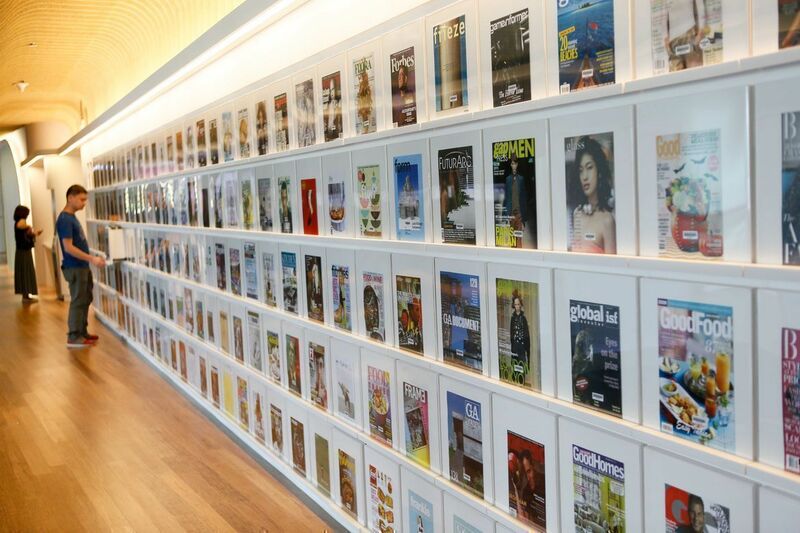 Lying opposite is a wall storage and display for their magazines, a visually stunning stretch of what is the largest design-focused collection available in our public libraries. 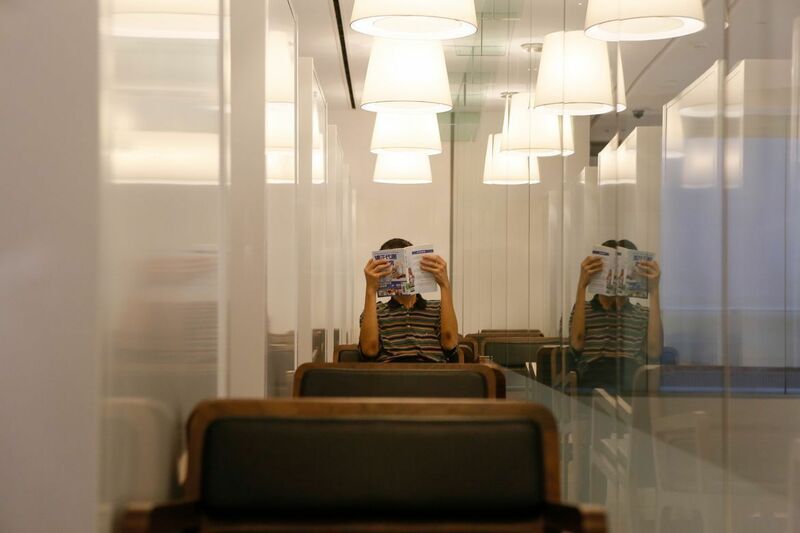 Taking into account the public’s expressed love for magazines, library@orchard brought in 46 exclusive new titles such as Works That Work, Disegno, and BITE. Visual impact aside, this display layout allows for easy recognition of titles, which will be regularly updated according to new issues launched. Instead of the agonising thumbing through (often limply) standing copies of magazines, all one has to do is to pull out the correlating “drawer”, and the issues are stacked horizontally for painless browsing. This peaceful coexistence of traditional print and new technology between the two walls is certainly a befitting introduction to the rest of the space. 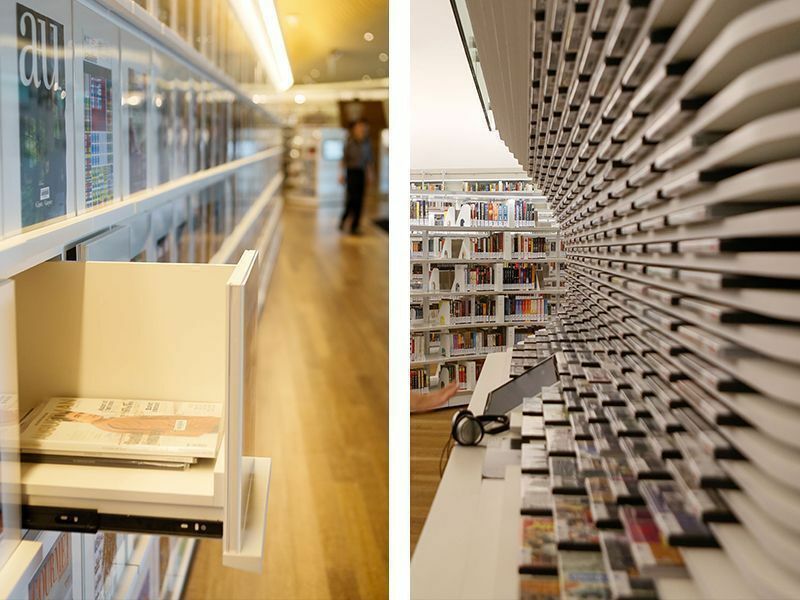 Right: The same overhaul is done to the audio-visual materials section, which makes use of the wall as shelving space and effortless browsing of titles. Space is allocated for other functions of the library: studying, workshops, exhibitions. As part of their desire to include everyone in design, their programming includes a fortnightly “Communities” session, where anyone can participate in sharing and learning skills. Other activities include film screenings and sharing sessions by professionals on topics including 3D printing, graphic design, and art for social change. 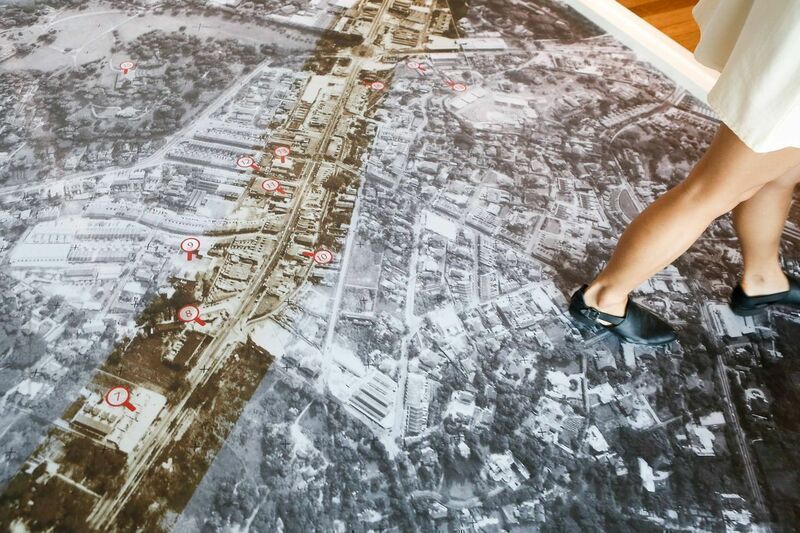 The irememberOrchard exhibition brings visitors down memory lane of Orchard Road, anchored on photographs and memories selected from National Archive of Singapore, Oral History Centre, and the Singapore Memory Project. The Fiction collection area looks like a dream. 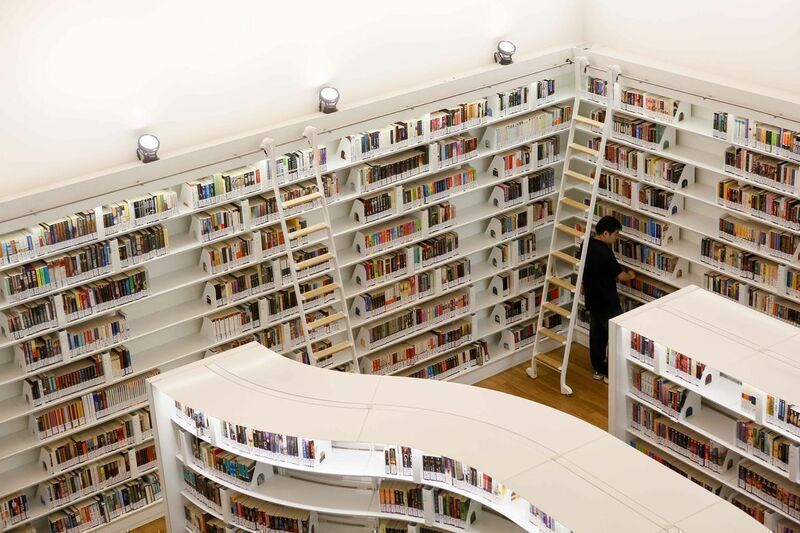 Shelves of books line the walls, with sliding ladders for access to higher shelves. 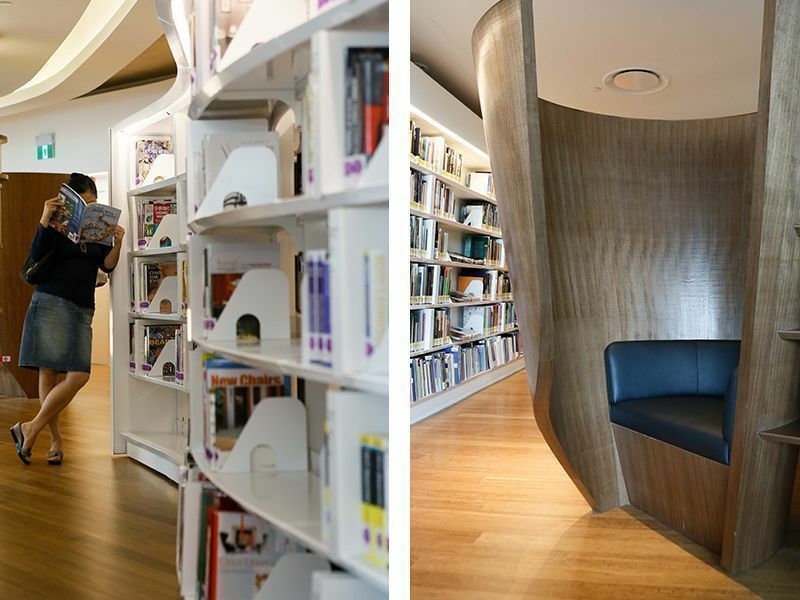 The curvilinear standing bookshelves provide the visual contrast and a poetic meandering through the collection. An angular buff bamboo floored arena, dubbed Share, is meant as a space for sharing and collaboration with fellow enthusiasts. Wide and open, the space incorporates wide steps, warm lighting, and ingenious storage holes that can hide unsightly bags (we even chanced upon a tourist with his luggage in tow). There is a sense of communal knowledge-gathering whilst maintaining a decorum of privacy, combining an encouragement of discussion with the innately quiet nature of a library. The upper floor, however, places priority on deeper solitude. Black walnut chairs are placed strategically for an amazing view out the full-length window, with just enough space in between to allow one to read without disturbance. Sunlight is also used to full effect here for both lighting and a good dose of relaxation and happy sky vibes. The two most popular prototypes are found here: interactive book shelves, dubbed Book Trees, adorn the otherwise chunky pillars whilst allowing community sharing of inspiring book materials. All one needs to do is to scan the book into the system to record it as a recommendation, or place the actual book in the built-in shelf space. Cocoons, on the other hand, are partially-enclosed pods carved out for an enhanced circle of solitude. With a comfy leather seat, tall curved walls, and even a stellar view out of the window in the right pod, we believe these seats will be one of the most fought-for spots in the library. 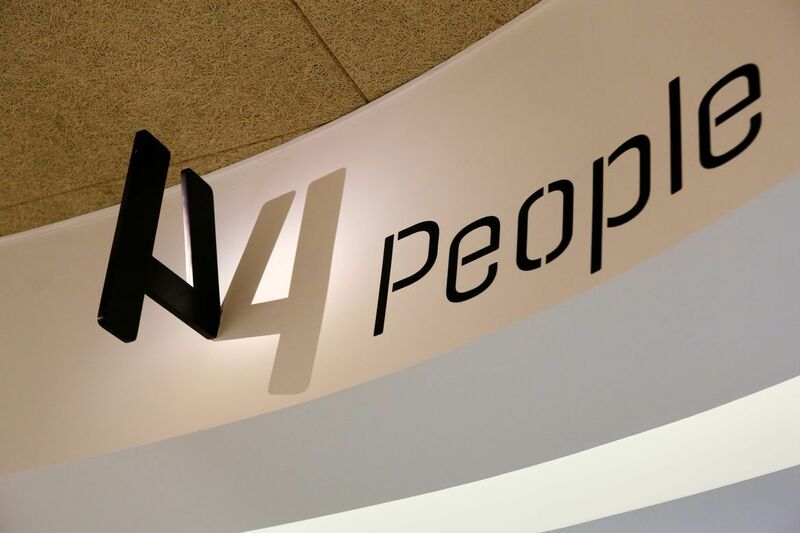 More than 45,000 books, including titles exclusive to this branch, are dedicated to the pursuit of design here. Instead of using the common categorisation by disciplines, the materials are separated by more overarching and accessible themes of People, Space, Products, Visual, and Lifestyle. “We needed to optimise and maximise the limited space. By using clusters with subcategories, we can have an expanse of titles to cover the main categories,” Wai Ling explains. Biographies and portfolios ply the People section, for example, while Space can include both architecture and interior design. Ingenious use of light to ensure the letter is readable from opposite directions. 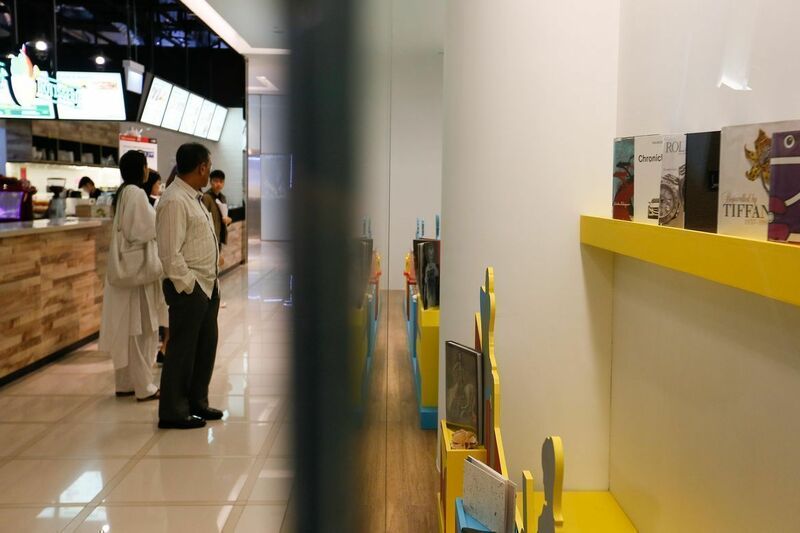 The library’s display is designed like a shop front, changed periodically following chosen themes. What can we say? library@orchard truly subscribes to the service philosophy of “Design Is For Everyone” down to the last detail. What we love about it is that the elements speak for themselves: though christened with names, the unique features like the “book trees” are not labelled. There is no need for flashy features or expensive builds to shout good design. The concept cannot be pegged to a single style, and employs full use of existing architecture and space―cocoons are seamless tails of bookshelves and material storage is assimilated into walls and pillars. There is a flow of space here that is open and comfortable, emphasising the belief that design should be something accessible to everyone. 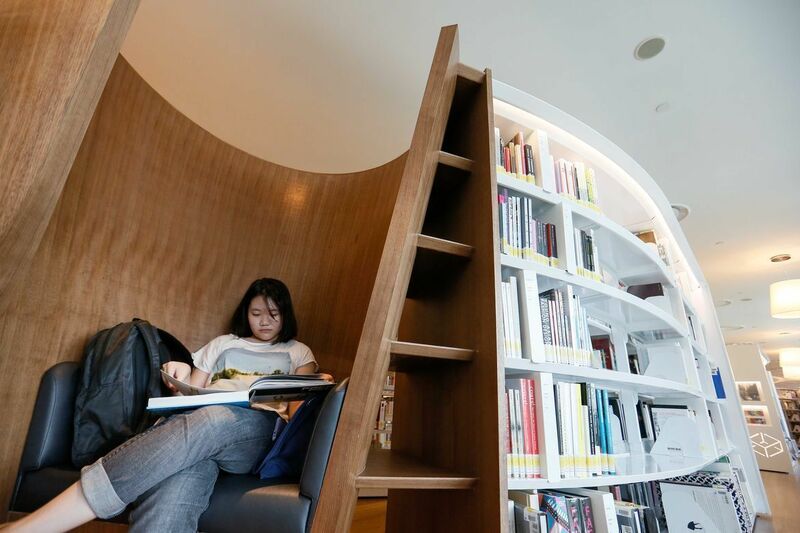 Perhaps “democratised design” sounds like a lofty ideal, but library@orchard certainly brings us a step closer towards it.